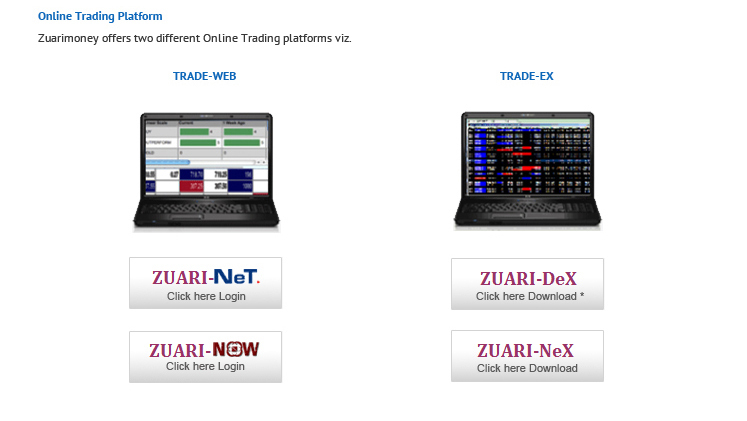 ZIL Trade Online is a hassle free and easy to use online trading platform. With the option, you can do online trading in Equities, Derivatives, & Commodities. Online trading allows you to make transaction on respective exchanges through internet. It is a platform wherein trading can be done without any manual intervention. As a registered member of the leading stock exchanges, Zuarimoney offers its customers access to online and offline trading in Equity, Currency, Commodity (through its subsidiary, ZCTL). To iron out the hassles that an investor faces while making the payment in respect to Depository dues or Trading, Online Payment module is the solution. To know more about it, please contact our Customer Care Team at 1800 123 1212. PS : Customers whose Banking, Mobile & Emails are available with us, can only avail this facility. Also, payment can be made if the Sponsor Bank i.e. the Bank from which payment is to be routed, comes under the prescribed list by RBI.